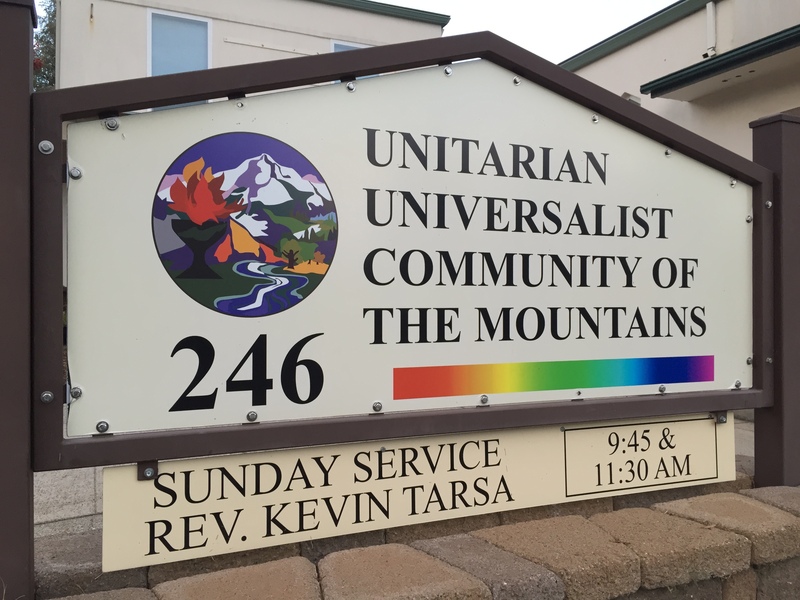 We are pleased to welcome you to the website of the Unitarian Universalist Community of the Mountains (UUCM). then this community may be the place for you. UUCM was founded twenty years ago by people who attended the UU church in Auburn but who envisioned a community closer to home. Since those fledgling days the community has grown substantially and now consists of more than 140 active members and many more friends, most of whom live in Nevada County but some of whom come from a distance. Unitarian Universalism is different from most other denominations. We are a community with diverse theological beliefs. Some identify with the tradition of progressive Christianity; others are fed in their spiritual quest primarily by humanist and scientific thought. Some look mainly to earth-centered spirituality for their inspiration, while others are drawn to eastern mysticism and practice. We rejoice in this diversity of beliefs because we are committed to the basic notion that no one approach can encompass all truth. Whatever our individual thoughts, we each are enriched by being in community with those who see things differently so that our small window of wonder onto the world can be enlarged. What defines and unites us in not conformity of beliefs but commonality of values. We are united in our desire to live meaningfully and well in this life, for its own sake, rather than as a preparation for a possible future life. We are united in our desire to help build a world that is more just, more equitable, and more humane for all of life, not only for ourselves. We are united in our desire that the measure of our existence be based on how we live rather than what we profess, by deeds rather than creeds. 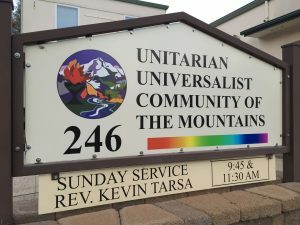 The UU Community of the Mountains offers two Sunday Services. Each Sunday, choose to attend at 9:30 am or 11:30 am. Social hour is held between the two services; either stay after the first service, or come early to the second one. We welcome families with small children and provide childcare to infants through children four years old. Religious education class for elementary school aged children takes place during the 9:30 service. Our teens meet between the services at 10:30, with Brunch Bunch at a local restaurant on the second Sunday of each month. Nursery care is available for both services. There is no dress code: come in jeans or a dress or a suit, whichever is most comfortable for you. Programs during the week reflect our desire to be mature and informed in our own spiritual journeys and active in the work of our local community, this country and the world. They also offer opportunities for interpersonal connection and relationship. We look forward to welcoming you to our community on South Church St, Grass Valley.